The Carpainter fled to India! 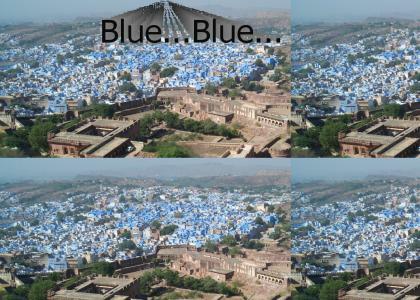 Actual photo of Jodhpur, India. Not photoshopped or altered. Has it? I did a search and it came up negative? Sure it wasn't the tester for this one? Anyway, updated the picture. This one's better, I think. Mimic utilizes a crashing boom bang attack! Vergeh takes five stars! God, I love EarthBound's music. blew blew, I"m trying to learn how to whistle.